Develops and implements Quality Assurance processes and systems. Acts as custodian for various Quality Assurance processes (Change Control, Calibration, etc.) as assigned. Issues & reviews Standard Operating Procedures and various Quality related technical documents (protocols, specification, work instructions, batch records, etc.) in a highly collaborative environment. Conducts Quality Event investigations (Non conformance / failure, deviation, corrective actions preventive actions CAPA, etc.) and document in appropriate reporting methods and systems. Participates in internal Quality System / cGMP audits. Reviews batch documentation for correctness and completeness, and to release product for further processing or commercial trade. Reviews systems to assure that security and data integrity are maintained. Bachelor degree of Pharmacy is required curriculum. 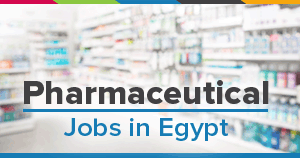 Fresh to 3 years of professional experience as a Quality Assurance professional in the pharmaceutical manufacturing industry (finished drug product or Active Pharmaceutical Ingredients / complex chemical processing ).